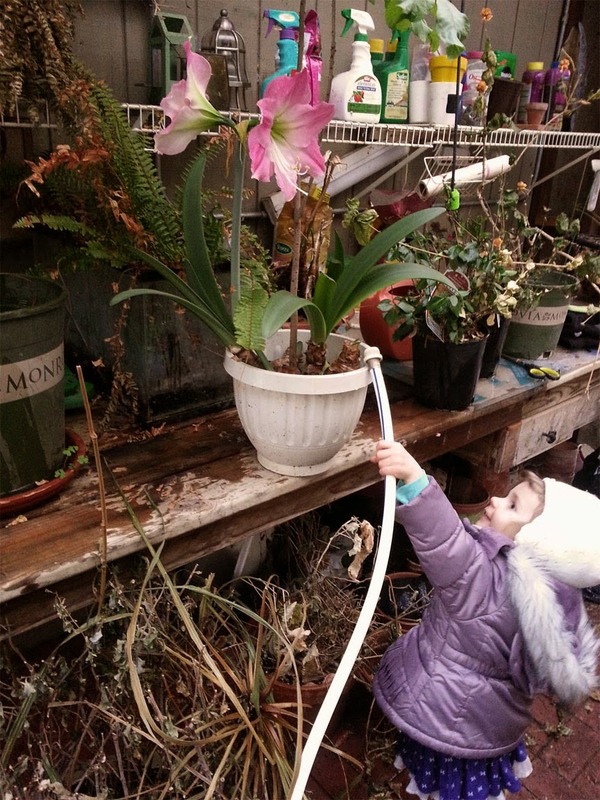 Last night, my big girl and I did our greenhouse chores. We haven't been super great at them, to be honest. It has been so cold that our watering hose has often froze and so we've let the greenhouse do its thing most of the winter. To be honest (again), I don't have a clue what a greenhouse "thing" is or looks like. Last night the warmer air inspired us to make our rounds. Pictures us so outrageously excited to find this. I think we both jumped up and down. Then this happened. "Mom, look at the flower! What is it, Mom?" I thought I had a hunch what it might be, but I really wasn't sure. 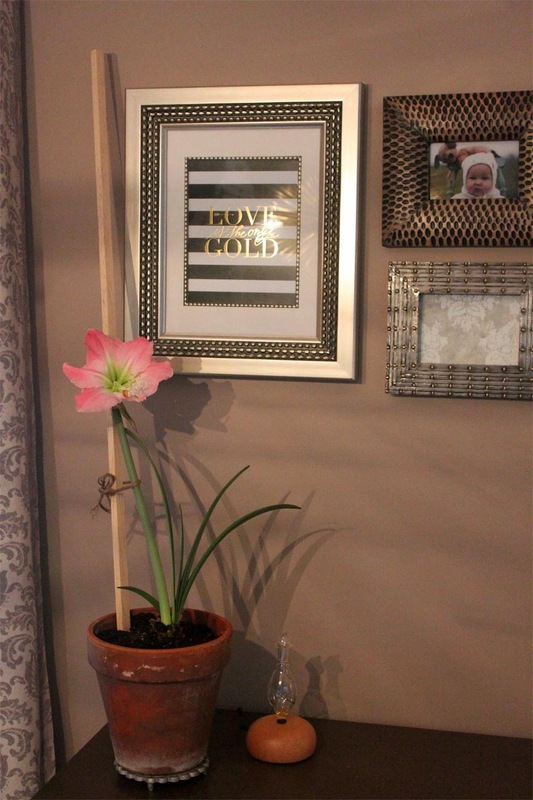 After a quick internet search, we realized that we had a gorgeous amaryllis on our hands. In fact, we have about ten of them in varying stages of bloom. 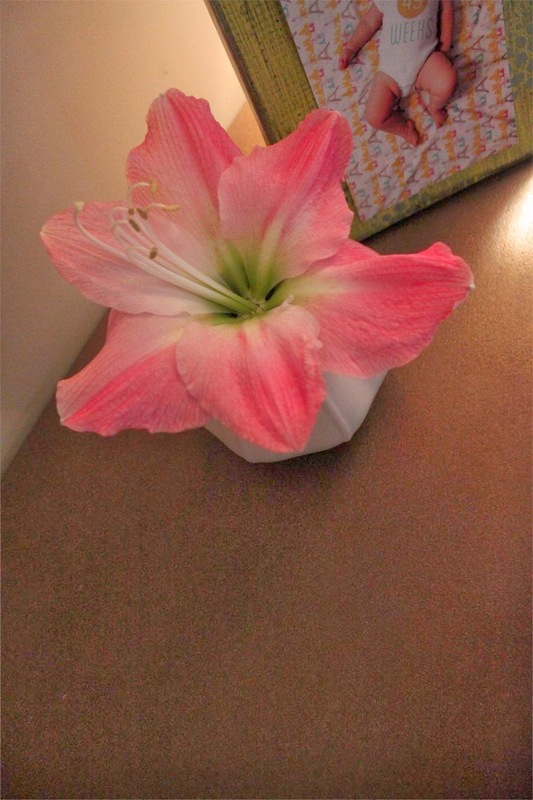 I have had that amaryllis on my mind ever since. So, during nap time I transplanted it into the first pot that I found that only had a small amount of dead (I think) plant matter in it. I borrowed dirt from a few other pots and brought it inside. I grabbed the first small, yet hilariously tall stake I could find and a bit of twine to support the big bloom. 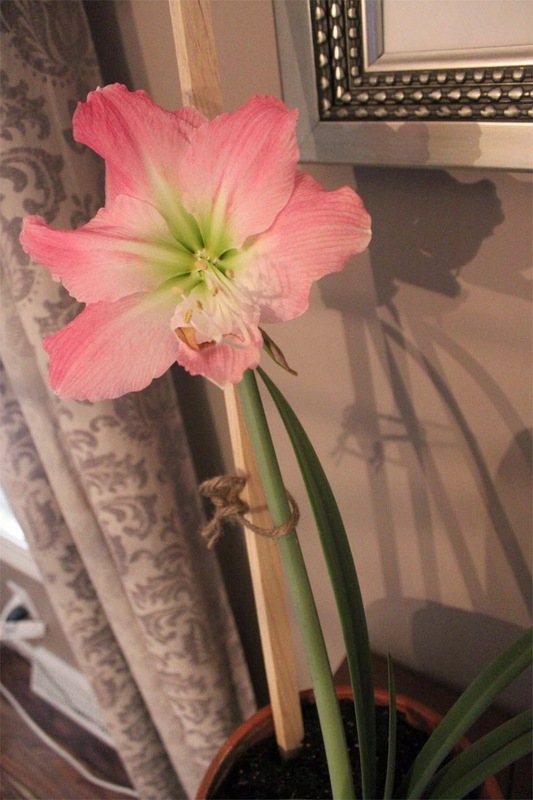 In the process, I accidentally broke off one of the two blooms. My big girl will wake up any second and she will be so surprised to see this beauty inside. 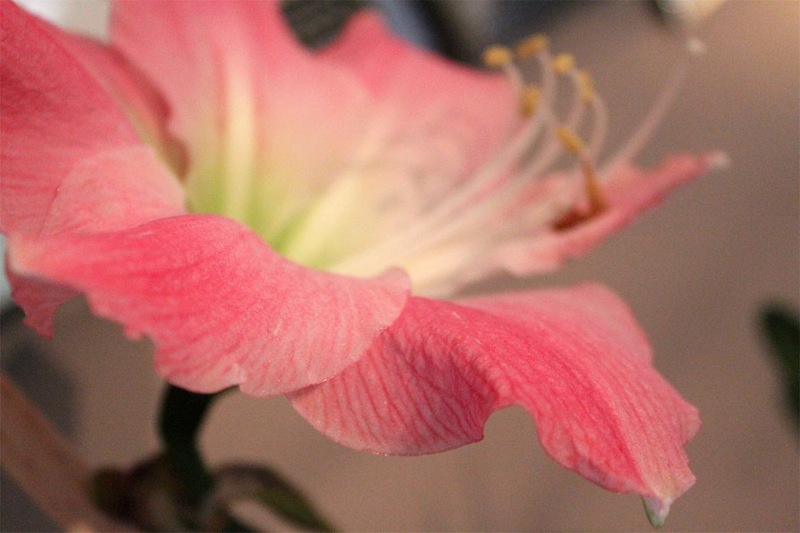 I realized today that I don't know very much about greenhouses or amaryllis or staking or plants in general. I have so, so much to learn. And yet, it is something that means a lot no matter how knowledgeable I am. It means a lot to my gorgeous girl and so it means a lot to me. We have been given a gift in this little farm, I am learning that. Daily I find little nuances about this place--almost always imperfect, cracked, and crooked. Much like this tattered pot. It is these little imperfections that seem to do a ridiculous job making something especially beautiful. A beautiful parallel, no doubt.